i just want to ask advices from all of you on how do you mount , and where did you connect the brushless motor with esc on the mini-rambo 1.3 arduino board? 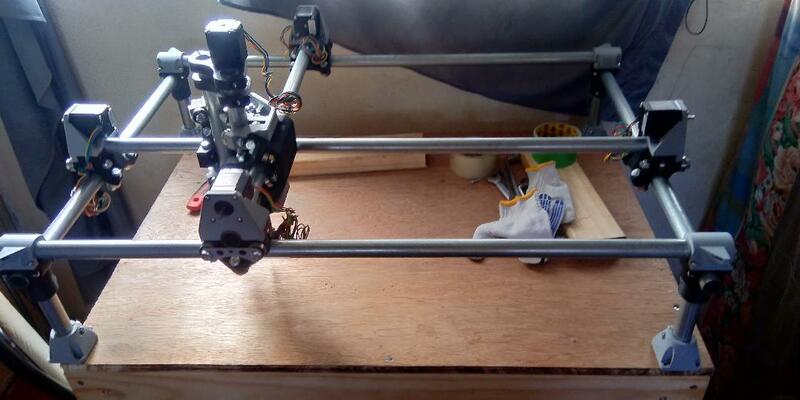 attached herewith is my pics of my mpcnc from V1 Engineering..its very difficult for me to connect all of these since i dont have knowledge in electronics..
if you are making needle4 cutter from my understanding the cutter head is not connected to the arduino at all. 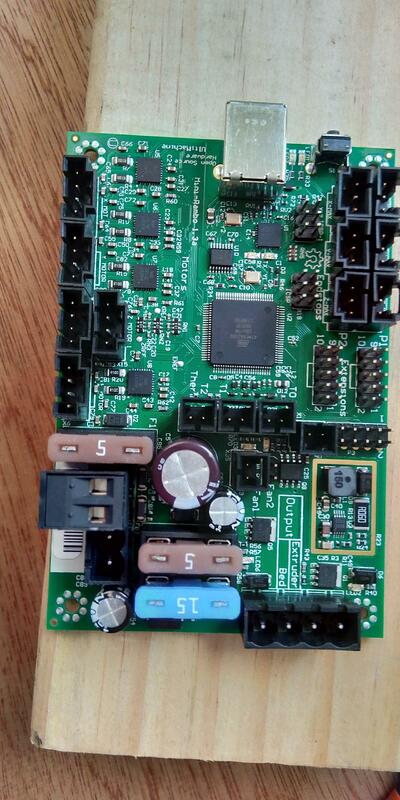 It is not controlled by software but manually with a servo tester. someone correct me please if i am wrong. If so, so how do i set the motor for the needle? can you help me set that up by showing me the diagram of connection and everything? it is controlled via a servo tester and powered via esc. Connect your motor to an ESC. Plug your ESC into a servo tester. Connect your ESC to a 12V power supply. Use the servo tester to control the speed of the needle cutter motor and let the Rambo 1.3 control the rest of the machine. hello guys, is there no other way to include the control of the brushless motor to the arduino? I've connected it to my ramps board. I ran a few extra cables to the servo pins, and extra wires to the heated bed power output. I use these to power either the laser, or the esc, and use the servo pins to power the esc and the laser controller. I power on and set the motor speed via gcode. You have to go into the firmware and enable the servo controls. I have D6 as my laser signal, D11 as my esc signal and have a ground wire I run to both d6 and d11 grounds, and share depending on which mod I'm using. For the power wires, I had to actually run a relay, as turning off the heated bed just shuts off the ground, and the ground from the speed control pin completes the circuit, so I connect the ground direct to the ground pin on the heated bed power out, and run the positive through a relay, which I control with pin d4. 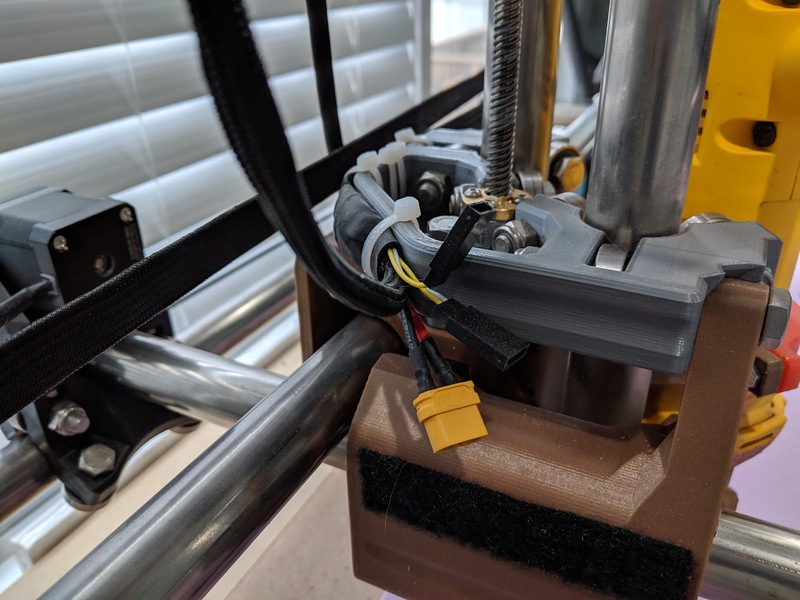 I have a XT60 connector that powers either the laser or the esc, and two 3 pin servo connectors, with opposite pins connected so that only the specific tool with the correct end fits, either the laser signal or the esc signal. "Cutting foam sheets... with a needle!" There is a ton of information in there that will help you. If you look in some of the later pages there are pictures and explanations for the needle cutter. If you have time --peruse through the entire thread and you will find the help you need. Most everyone uses a cheap servo tester to start, then depending on ambition and skill upgrade to what works for them. I still use a servo tester and it works great. Hey, stingbee! I'm sorry for my delay. I just saw this thread a few minutes ago... I rarely check this particular forum. Since you've indicated you have no "knowledge in electronics", I recommend you do the simple servo tester control of your motor -- as most here have recommended -- before trying to get too fancy. Get the simple system working first... and then you will quickly learn whether you need software control of the motor or not. I still prefer it being a stand-alone (independent) system. If you're already flying RC, then you'll recognize this setup is exactly as it would be in the airplane... except that the servo tester substitutes for the receiver. Also, the battery is usually replaced with a 12-volt power "brick" that plugs into the wall. i am done now installing firmware of my mini rambo 1.3a arduino, it flashess orange and green in my board.now i dont know how to use estlcam software on how to start cutting my rc plane plans. my question is ,do i really need to save the estlcam output plan in a flash drive then connect it to the rambo usb hub? then it will just automatically and directly cut the foamboards? Doing it headless with an sd card is more stable. Using a computer connected with USB and running the file directly has a large potential for interruption and a failed cut. USB connections are notoriously unstable. 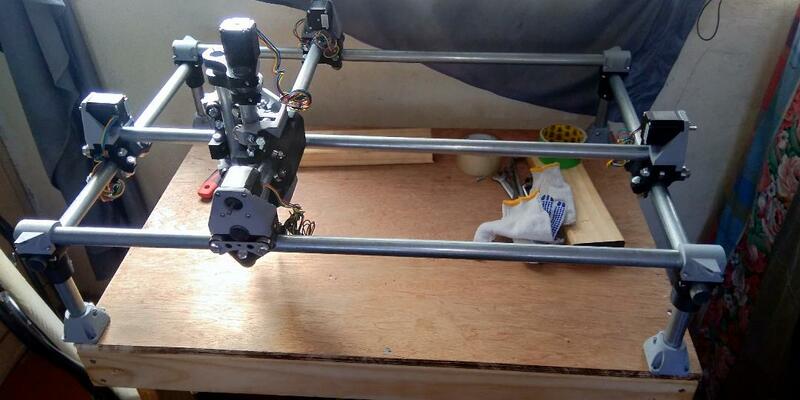 Estlcam does not output to the cnc directly, you still have to save as gcode first, then run the gcode. When you run the gcode to the cnc cutter, do i need to connect it to LCD of the cnc board? 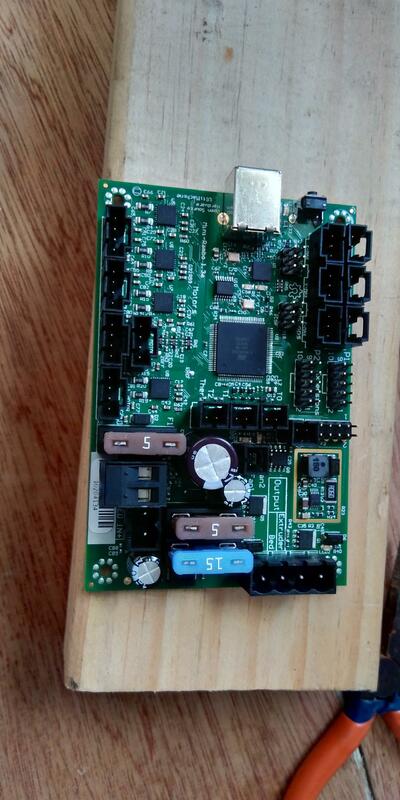 or directly to the usb hub of the cnc board? I'm going to be bluntly honest with you here. I'm not trying to be rude or hard to get along with but you are the only eyes we have here... and you'll need to FREELY provide information about what's going on and where you are with your machines. Good photos (a cellphone camera is fine...) can help greatly to explain things so please get comfortable with taking -- and posting -- them... so we can help you without a lot of wasted time and misunderstanding. The machine and board photos you shared in your first post show only an incomplete MPCNC (looks pretty good so far!) and a bare miniRambo board... that's a start but we'll need a steady stream of CURRENT information/photos to work with as we progress. 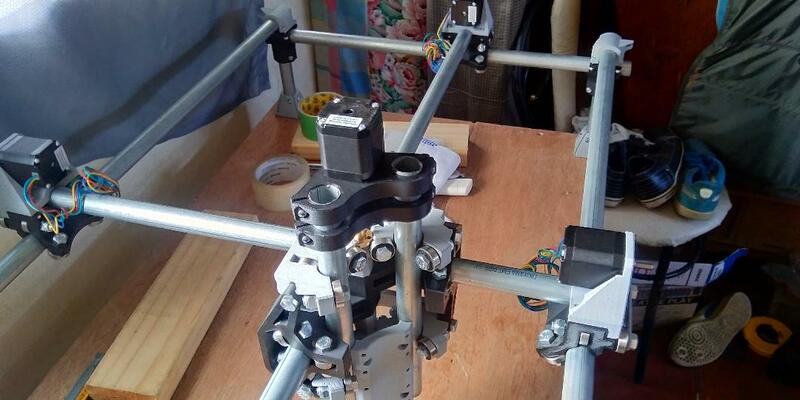 I assume you've completed the MPCNC assembly and got it all wired up by now? If not, and you are having trouble with it, you really need to take this part of the discussion over to the MPCNC forums. I'd really like to see some photos of the completed machine before going too much further. Assuming you have completed construction and wired up your new MPCNC, there are a number of things you need to do before you are ready to start cutting planes. Unfortunately, there is a fairly steep learning curve and you have no hope of cutting accurate plane parts until you know that your MPCNC is properly built and calibrated... and that you know how to set it up and operate it. So, forget the needle cutter for the moment... it is a separate system and has nothing to do with operation of the MPCNC. Since you've indicated you want to use Estlcam, start with this webpage -- Estlcam basics -- and carefully work your way through EVERY STEP of the procedure. It walks you through configuring Estlcam, creating tools, bringing in a DXF plan, creating toolpaths, and creating/saving the gcode file. Whether it's a crown -- or a plane -- you need to be able to do this routinely and it requires some practice. 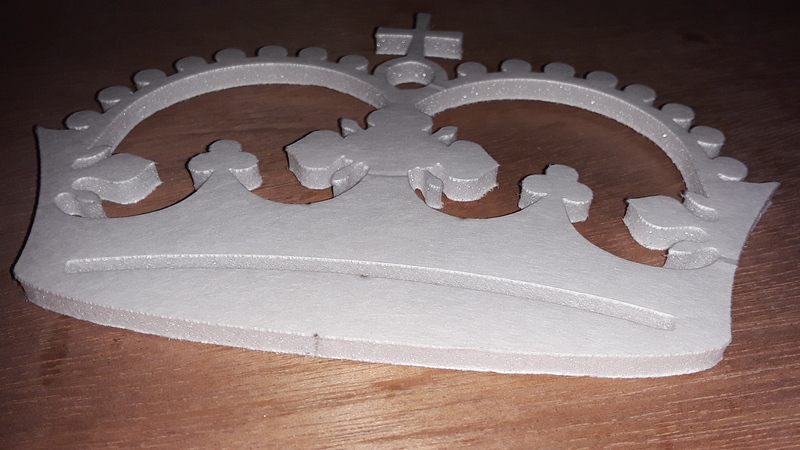 Do not skip steps, do EXACTLY what each step says, and you should end up plotting a crown that will tell you a lot about how well you have set up, and understand, your new MPCNC. 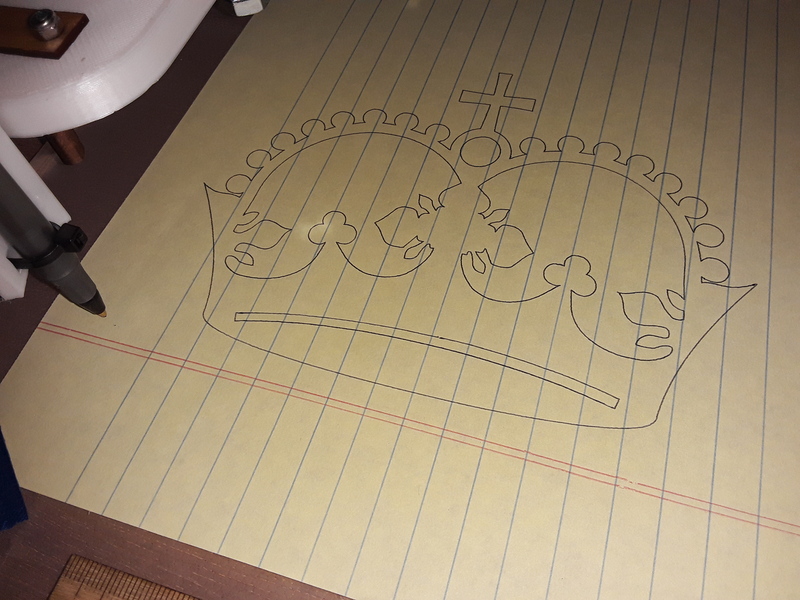 Until you can successfully create and plot the crown... you are not ready to start needle cutting airplanes. We're happy to help... but you're going to have to keep us up to speed about the issues/problems you're having. And, first things first... let's get your MPCNC running. Adding in the needle cutter, processing plans, and creating gcode for the planes you want to cut will come later. Nice crown David! My first machine took 7 attempts to get a crown that was even half passable. Stingbee listen to David. He is the man when it comes to this stuff. Like having Mr Delorean help you work on your Pontiac GTO. You will not find better advise! Thanks, Headbang. Mr. Delorean... was he the one responsible for Yugo? David to be honest, i really want to have a 20 x 30 inches foam cutter. I have purchase the v1 engineering mini-rambo version including printed parts and the elctronic package( miniboard rambo and the motors only..as seen in the picture is only design for 24 x 24 inches foam cutter is all i have.My question is will be these version is all i need and compatible to 20x 30 inches dimension size cnc foam cuttter?